In a recent browser market share report conducted by analysts NetApplications and StatCounter it shows Microsoft may be losing its dominance of the Internet browser market. The research report indicates usage of the Microsoft IE browser dropped from 77.63 percent in April 2008 to 67.77 percent in April 2009. Since June 2009, Internet Explorer has seen a decrease in market share each consecutive month for a low of 59.95 percent. Competitors, including Google Chrome, Firefox and Apple Safari saw an increase in market share during the same period. 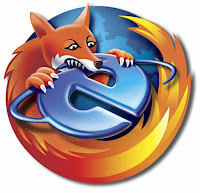 Firefox currently enjoys about one quarter of the market with 24.59 percent market penetration, according to NetApplications. Google Chrome ranked third with 6.73 percent, a .6 percent increase from last month. Apple Safari came in fourth, with 4.72 percent, a .07 percent increase from the previous month. Microsoft once dominated the browser market with over 90 percent market share and essentially monopolized the industry between 1996 and 2002. Firefox was the first major browser to offer some significant competition to Internet Explorer. Once Google launched Chrome in September 2008, it took 1 percent of the global browser market in one day, according to StatCounter. The success of Google's Chrome browser has been due to five factors according to Jeff Bertolucci of PC World, "It's Fast, It's Simple, Security, Runs well on old hardware and Google's ad campaign". Microsoft isn't about to sit on its laurels. They are busy at working on the Internet Explorer 9. The company released a preview of IE9 for beta developers which demonstrated speed gains and standards improvements that align with Chrome, Firefox, and Safari.